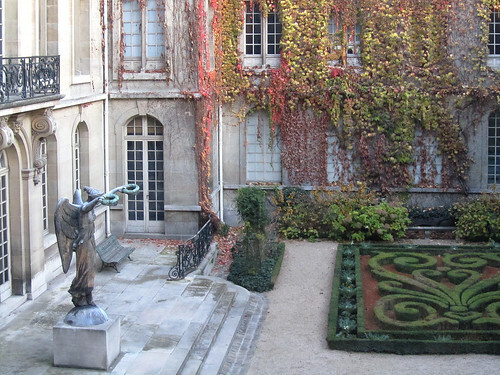 There are a number of museums in the Marais with free entry to their permanent collections. Frédéric and I had them checked out in record time – 3 in 90 minutes. I admit to doing cursory-glance kind of visits to just have an idea of what the museums are about. The decision to visit them on an impromptu basis perhaps didn’t serve us well in understanding the significance of the collections. Perhaps we should have taken out an audioguide or signed up for a guided tour. Nonetheless, it didn’t mean I failed to find something appreciable in any of them. hmm, good question. i think there are some 150+ of them (trying to remember an article i read ages ago) but oh look, wikipedia has a list (http://en.wikipedia.org/wiki/List_of_museums_in_Paris)! ps: i have not even heard of some of them!